BBQ Chicken Pizza 烤雞肉薄餅 comes with grilled chicken meat, Mozzarella cheese and onion. The size is about 8 inches in diameter. To be a member in lunch set, portion is not small, taste palatable. The crust is not too dry and hard. Dumpling stuffed with chicken meat (picture is not included) does not have much different from other pan-fried dumpling. Provided it is served to us in hot, the taste would not be bad. 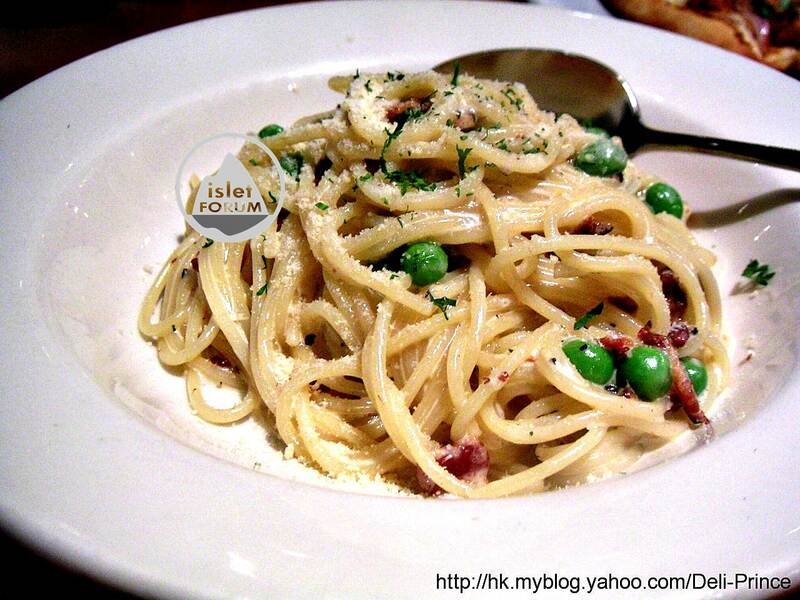 Spaghetti Carbonara serves with al dente spaghetti, garlic sauce and green bean. Even though the ingredients are not too experience, it is already a tasty pasta. What we should expect for lunch set in such a price. House salad (no picture is included) is served together in the lunch set. Remarks: 10% service charge, lunch set is available in weeday only. Today we have lunchtime earlier and select California Pizza in Times Square. There are not many diners and we can select any table we like. Each lunch set @$68 serves with appetizer or salad, main dish (pasta or pizza) and set drink. We order 2 lunch sets, the bill is $150 (average per head $75). Before long, all our ordered dishes are served to us. We are very satisfied with the food quality. Of course, if the same dishes are ordered in dinnertime, it would be much more higher in price. Set drinks are free to refill. 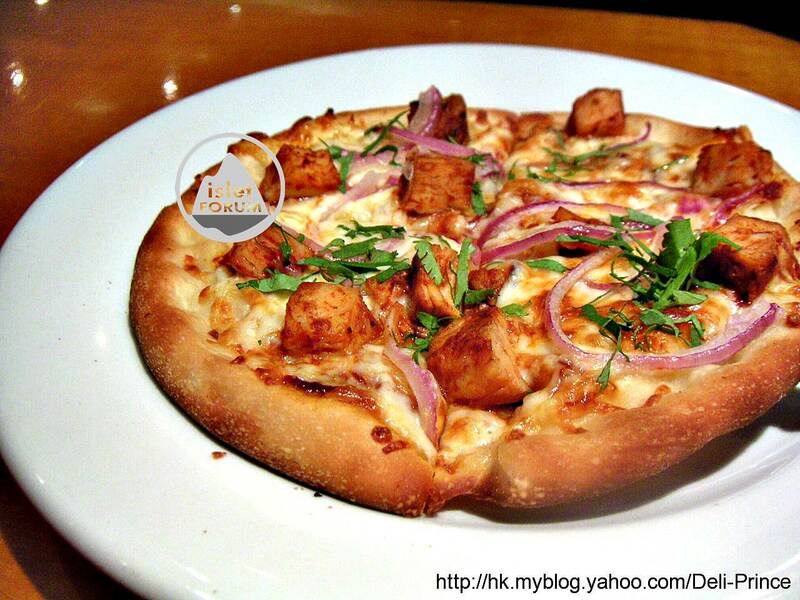 If you are also in CWB in lunchtime next time, California Pizza Kitchen should be a good choice to you.